Unfortunate news for Irish Pagan/Folk Metallers CRUACHAN, who’s record label Trollzorn have been forced to reach a settlement with German Death Metal band DEBAUCHERY, who for some ridiculous reason actually own the copyright for the two words “Blood God” in the territory of Germany. How anyone can copyright two words in the English language is beyond me! And to be able to do it in a country that English isn’t the primary language spoken seems even more ridiculous. Anyway! Thomas Gurrath and his band DEBAUCHERY have made their claim which was held up. And have made an absolute mockery of themselves in the process. So well done on that front, BE-DOUCH-ERY…!!! 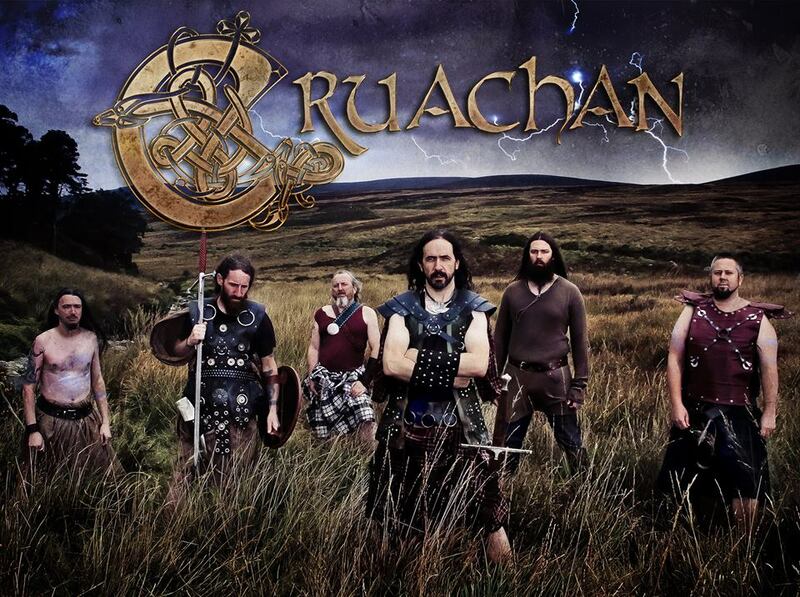 In a further twist of events… Keith Fay from CRUACHAN stepped in and was in discussions with the DEBAUCHERY frontman, who has seen the error of his ways and has agreed to remove the block on CRUACHAN‘s album title in Germany! “…Just to give you all an update on some legal crap that has been happening with the title of our latest album. Just before the end of last year our record label received an email from Thomas Gurrath from the German Death Metal band DEBAUCHERY. He told them (and showed them) that he has copyright for the 2 words “Blood God” in the territory of Germany. He threatened our label and told them he will sue them for releasing our album which is called “Blood for the Blood God”. (CRUACHAN never heard of DEBAUCHERY before any of this). He demanded all products be taken off shelves and nothing be sold with the words “Blood God” on it. Our label tried to reason with him because this is completely ridiculous, petty and childish. CRUACHAN and DEBAUCHERY are two completely different bands and the name Blood God is relevant to Irish mythology and history as that is how some people refer to “Crom Cruach”. We really see no reason why he had this mission to stop our albums being sold. He did not care what our label had to say. We have never seen anything like this happen in the metal scene, you would expect it from much bigger bands. We fail to see how CRUACHAN using the name “Blood God” will affect anything DEBAUCHERY do or affect their sales or whatever. So, as a result, our label have come to an agreement where we can sell off the existing CRUACHAN merchandise but can produce no more to sell in Germany. (We plan to use the title “Blood for Crom Cruach” going forward for Germany only). He has also received a financial compensation as well. From now on we cannot make any more merchandise that has “Blood God” written on it. CRUACHAN have kept out of all of this and allowed the record label try and fix this issue. As they and DEBAUCHERY have reached an agreement we feel it was time to tell our fans what Thomas Gurrath has done to us. Our record label can no longer sell merchandise in Germany with the words “Blood God”. We can still sell outside Germany with the original title but Trollzorn are a German label and this is a real disaster for them. Earlier today we made a statement regarding legal issues with our new albums title “Blood for the Blood God”. Since that statement Keith and Thomas Gurrath have been in discussions pretty much all day. Thomas has agreed to remove the block on our album title in Germany so we can sell our cd’s and merch there with the proper album name. Thanks to Thomas for this and thanks for all the support we have received. We now ask that this is forgotten and no more negative comments are left regarding Debauchery, I feel Thomas made an error in judgement and has fixed it and for that we say thanks. Incidentally that means we have some, what will now become quite rare, “Blood for Crom Cruach” merchandise available at www.trollzorn.de/store …. go get it now! !